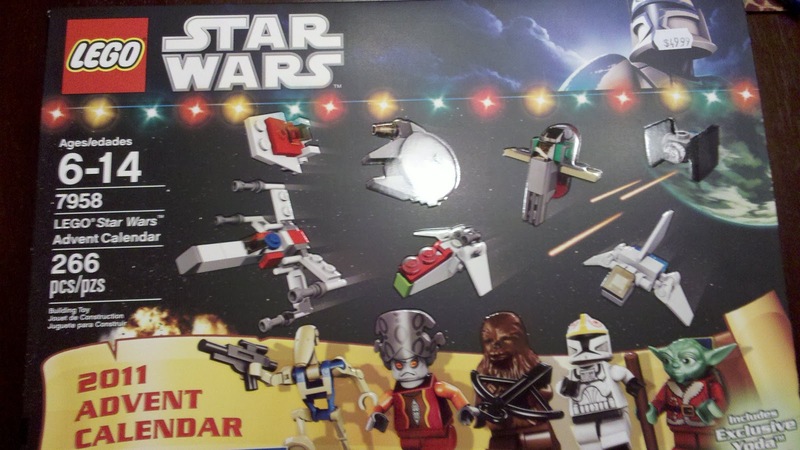 Star Wars Lego Advent Calendar: Yeah, you read that right. Yesterday, we took the Dude to Mrs. Tiggy Winkles to buy a Lego Advent Calendar. What a surprise we got! You see, last year we bought him his first Lego City Advent calendar. Each day he opened a window in a big Lego box to reveal a small bag containing the pieces required to build a Lego figurine. As the days and weeks passed, he placed them on the diorama that folded out on the back of the box until he finally unveiled the Santa minifig and had an entire Christmas scene: tree, a little dog eating a hot dog (disturbing), sled, sleigh, boxes of presents, and the jolly old guy himself. It was a ton of fun and he looked forward to opening and building something every morning. So we headed off to Tiggy Winkles thinking we would only buy him one if they had something different from last year. 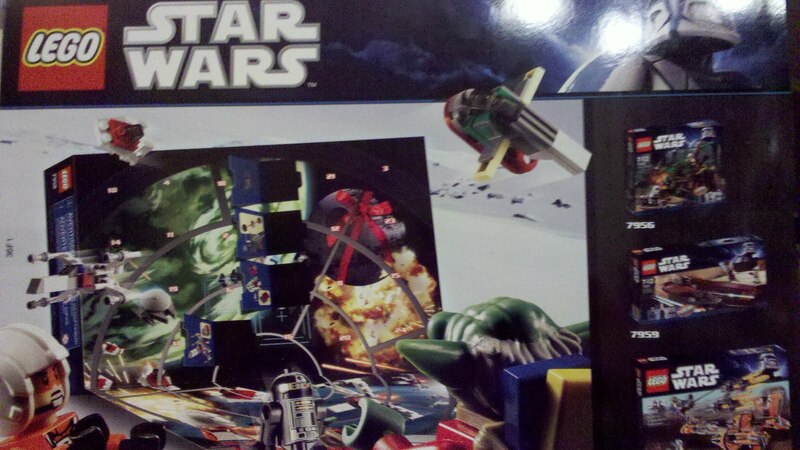 I asked the cashier and she said, "We have Lego City and Lego Star Wars". I replied, "LEGO STAR WARS!?!?!?" (She laughed at me) She walked me over and handed me a box. I showed it to the Dude and his. head. exploded. Thankfully we were able to put him back together, collect ourselves and buy said Star Wars Lego Advent Calendar full of pure awesomesauce. Now I must warn you: if you are used to spending $10 on a chocolate Advent calendar, this may be a shock, but remember: it's Lego. And until the patent wears off, Lego stills costs what Lego costs. So this thing was $50. It's basically one of his Christmas presents. An awesome, Star Wars, Lego, Christmas present. Did I mention the Yoda Santa yet? Yep. There, I said it. If you have a little Jedi and want to be an absolute hero this Christmas, you can get it at Tiggy Winkles stores or on their website. How long till December 1st? C'mon. Lego Palpatine and Chewy? So cute! UPDATE: As Marielle Quinton pointed out on Google Plus the last Lego patent expired last month, so we will hopefully be bombarded with cheaper Lego knock-offs very very soon.